Many people with speech and/or language difficulties, including difficulties with reading and writing, have inefficient Auditory (listening) Processing. Auditory Processing Difficulties may contribute to problems with language processing and the way in which people perceive (or hear) sounds in words. 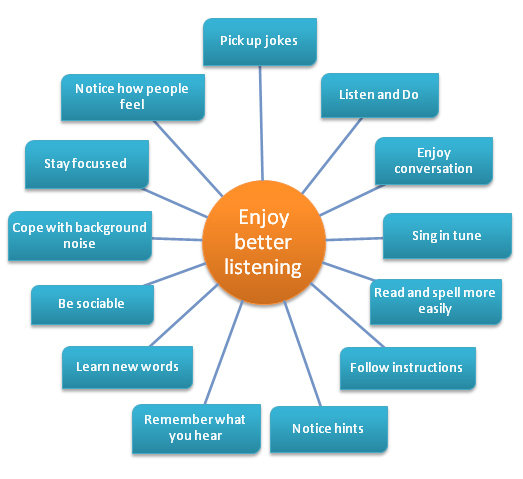 Johansen AS is an Auditory Stimulation programme which involves listening to music specifically designed to stimulate the nerve pathways into and within the brain – in particular the areas dealing with language.. Johansen AS can be of benefit for a variety of speech and/or language difficulties, both spoken and written (including specific learning difficulties and dyslexia). When the sub-skills for listening and learning are strengthened through listening to Johansen IAS CDs ,language processing abilities can be seen to improve. Concentration, listening and understanding of language are enhanced as incoming information is dealt with more quickly and efficiently.Gains in reading and spelling are also often seen, as the ability to analyse the sound structure of words is strengthened, making decoding much easier. Johansen IAS is a home based Sound Therapy programme which involves daily listening to recordings with specially recorded music for 10 to 15 minutes through over-the-ear headphones. Many individuals choose to listen at bedtime when they are relaxed and daytime activities are not interrupted.